This Session Fee is for photographer's time and talent at session and post-editing of photographs from your session and includes newborn clothing, props and backdrops. This session typically lasts an 3-4 hours with 3-4 looks. This session includes a 1-hour consultation, in home or via phone, where photographer will assist client in selecting a location, wardrobe and detailed layout of session day. Each session includes 10 full resolution, fully edited images delivered as a private, password protected download collection via email. A $200 deposit will be required to secure your appointment & the remaining Session Fee must be received the day of the session. The deposit is non-refundable and non-transferrable. 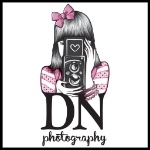 DNP will provide props, clothing and blanket backdrops for newborn portraiture. Family photos may purchased as an-add on package. Additional family photos are $100.00 for up to four members. Session Fee includes travel charge at $25.00 and $0.55 per mile after 10 miles round trip for on location. Hair and Makeup Stylist is available for an additional $100.00. Full session payments must be received the day of the session. Photographer will come to your home for additional travel fee. The Newborn Session Fee is for a newborn age three weeks and younger. Infants older than three weeks will require an additional $50 fee. (After two weeks of age they are more likely to be disturbed while sleeping, may experience baby acne, and possibly colic.) And newborn twin sessions require an additional $100 fee. This Session Fee is for photographer's time and talent at session and post-editing of photographs from your session and includes backdrop for family portraits, nursery lifestyle family shots, newborn clothing, props and backdrops.